The Capitol Corridor is an intercity passenger train system that provides a convenient alternative to traveling along the congested I-80, I-680 and I-880 freeways by operating fast, reliable and affordable intercity rail service to 18 stations in 8 Northern California counties: Placer, Sacramento, Yolo, Solano, Contra Costa, Alameda, San Francisco, and Santa Clara, a 170-mile rail corridor. An extensive, dedicated motorcoach network provides bus connections to serve the second-largest urban service area in the Western United States. The Capitol Corridor Joint Powers Authority (CCJPA) is a partnership among the six local transit agencies in the eight county service area which shares the administration and management of the Capitol Corridor. The San Francisco Bay Area Rapid Transit District (BART) provides day-to-day management support to the CCJPA. 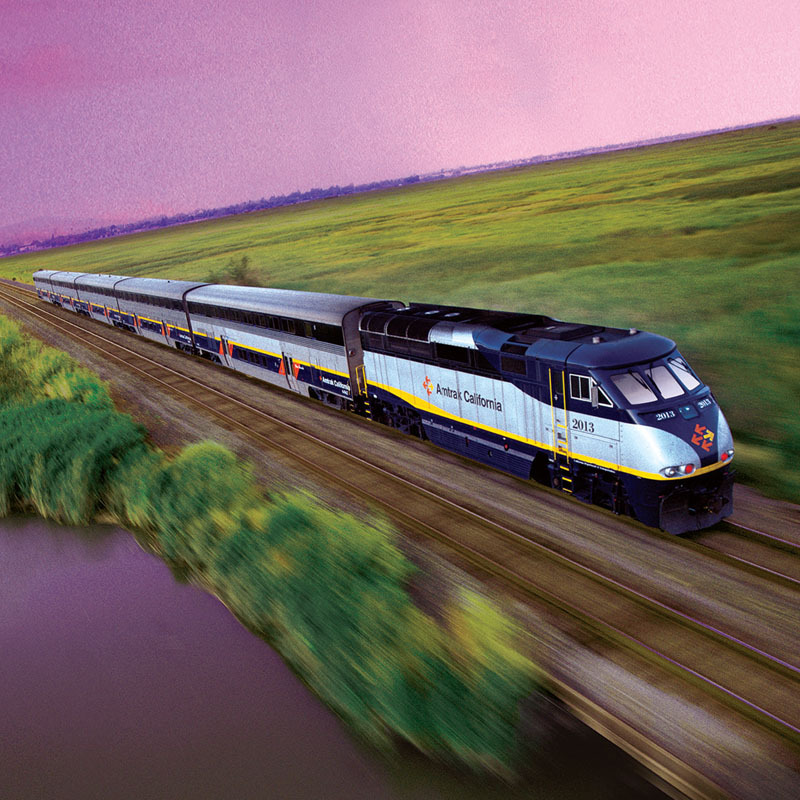 Capitol Corridor services are developed with input from our riders, private and public sector stakeholders, along with the partners who help deliver the Capitol Corridor service – Amtrak, the Union Pacific Railroad, Caltrans and the various agencies and communities that make up the Capitol Corridor. View the ‘Cause for Celebration’ brochure [4mb] which outlines the economic and environmental benefits Capitol Corridor brings to the communities we serve. This video showcases the successes of the State of California’s investment in passenger rail, featuring the Capitol Corridor, Pacific Surfliner, and San Joaquin rail lines.